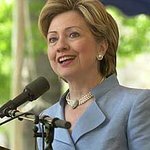 Ten thousand young women from public schools across Los Angeles County will come together to hear Hillary Rodham Clinton and Kamala Harris speak about activism and leadership on December 15th at the LA Promise Fund's Girls Build Leadership Summit held at the Los Angeles Convention Center. The event, the largest of its kind in the nation, emboldens young women to engage with the issues they care about and prepares them to solve the problems of tomorrow. The event was oversubscribed within hours of its announcement, with 5,000 girls attending and a waitlist of more than 10,000. The event’s capacity has now been expanded so that as many girls as possible can participate and benefit. “These girls, many of whom face incredible challenges on a daily basis, are smart, curious and determined to make a difference. I love that Girls Build provides a platform for the students to work collaboratively to create and implement solutions to big problems in their communities,” said Megan Chernin, LA Promise Fund Co-Chair. This year’s event is designed around the themes of technology and social impact, and includes performances and appearances from accomplished professionals in the technology and entertainment sectors, including Moj Mahdara, CEO of Beautycon; Bozoma Saint John, Chief Brand Officer at Uber; Beatriz Acevedo, founder of mitú; Tara Deveaux, Chief Marketing Officer at BBDO; and Christy Haubegger, Agent at CAA and Founder of Latina magazine. Three returning teams participating in the Girls Build Challenge will present their projects on stage, including a team from San Fernando High School, which developed a solar-powered tent to support the homeless in Los Angeles. Their project has been written about on Mashable and in the British Independent; it won them a grant from MIT. Girls at the Summit will also participate in a group meditation led by Headspace co-founder Andy Puddicombe. It will be the largest live meditation ever coordinated by Headspace. Additionally, girls will have the chance to take photos in front of an art installation designed specifically for this event by Shepard Fairey’s design team, Studio Number One. At the culmination of the Girls Build initiative in May 2018, participants will gather together to present solutions to the various challenges they have identified. Last year, 500 young women participated by becoming change agents, engaging 5,000 peers in STEM and maker fairs and coding clubs, and another 5,000 in health and mindfulness fairs and workshops. In its third year, the Girls Build Leadership Summit celebrates the girls who participate in the Girls Build program, an initiative run by the LA Promise Fund that challenges young women from public middle and high schools to use STEM principles and 21st Century learning skills to effect social change. Over the past two years, Girls Build engaged 20,000 girls, and awarded $120,000 in scholarships.